Dylan's acoustic music in general wasn't really my bag. But, I remember going up to my first girlfriend's house and she had kind of bohemian parents, let's put it that way. They had a great record collection and this was the first time I heard early Springsteen. They were also big on Dylan and if I remember correctly, Blood On The Tracks was considered a big deal because it was something of a comeback album on the Columbia label. It got played a lot and I remember being taken in by 'Tangled Up in Blue' originally - the lyrics of it particularly. There were all these lines coming at you and every one of them was a painting that I'd stop and think about. 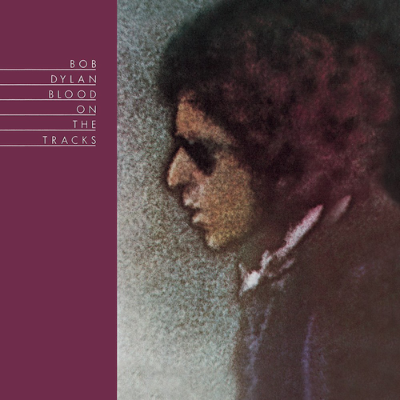 Nowadays, I'm a big Dylan fan and it is possibly my favourite. I love the title of it… Blood On The Tracks. I read at one time that he had recorded the whole album and then scrapped it. Then he went to Minneapolis, recorded it all again and the album in the end is a sort of mishmash of both. He'd come back in a really committed way and you could hear that on the record.